Plastic teak will not fade, rust, or weather like traditional wood teak will. This table is available in 3 square sizes. Mix & match the table & bar height to furnish your whole outdoor dining area. 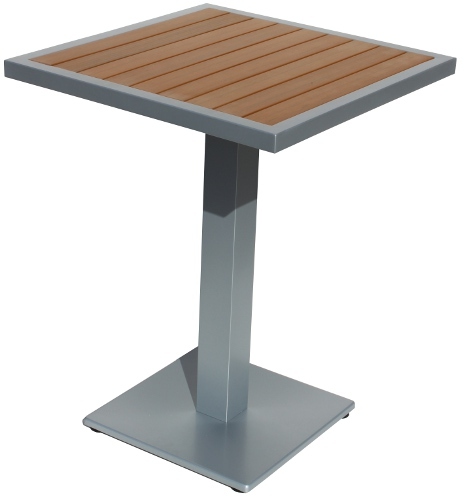 Resin teak tables come standard with a silver aluminum edge & matching base.